Ramblings and reviews in fiction and fact. Merits more points than average of 75, should be avge 80, only wish cd was more easily obtainable. Have to confess to one favourite vocal being ‘In the Balance’…..from Karmina Burana. Sometimes a few assorted arias/ duets of Puccini, Verdi et al of mezzos and sopranos as my mood or playlist takes me. I have labelled a very few above as regulars but I do try to listen randomly, or deliberately to contemporary singers. Yes, I have found lots to like in different ways and could drift on listing many well-established singers (Dixie Chicks, Storm Large) and assorted new (to me) like Jorja Smith who are going to be a permanent fixture on my favourite playlist. Huge array of talent, all of them. However, when I want to sit and listen to voice, words and music I currently fall back onto Jane Silberry’s ‘Maria’ cd. Within that the final, long, track is ‘Oh My My’ which just has to be listened to the final note. There is any amount of superb singers, writers, musicians out there, old, contemporary or in the wings that deserve to be heard. I wish I had the time and memory to look more. Tracks: Mr Moonlight; Special; Don’t Forget To Love; Ain’t Man Enough; Blue. As a contrary customer I might have put ‘Ain’t Man Enough’ last. But then I deserve a slap on the wrist for saying that because it wasn’t anything to do with me!!!! It’s tough but if I had to choose one of the above it should be ‘Special’, because it is! An ep of music and words to last a lifetime. I have listened to the ep from first to last about six times in four days. More times than I have listened to numerous other cds over two or three months. I don’t know who wrote the ‘about’ notes on her website; looks a bit tooo much (for me) but then it sounds like that personality over the various tracks. I do hope she is one of the many, many-talented singers, writers, musicians to make it in their careers. With Emily, tread carefully, you won’t know what hits you when you listen. You will be hooked! Sept 1st, was release date for her second ep, ‘Dance My Demon Away’ at a launch at the Lexington, London N1.. I was unable to go so missed out on the event of Emily Lee and a 10 piece band……. even worse……..is the problem that I can’t get the cd yet. But will! Meantime visit her on youtube for a taster: Emily Lee: Sleep With A Stranger. Good song, good video! ’Don’t Forget to Love‘: A thoughtful, provoking, sensitive yet at times steely performance from an artist who will push on to even greater music. This album will sit as my top-tip for some time……….unless the new one is as good, then it will be a fight! 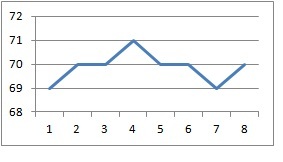 A Graph Review. Definitely gets points all in the 80s. Nearly broke through to 90 but couldn’t quite give that all-time high. Almost regret it!!! Fifteen things they forgot to tell you about autism. Books on this subject are coming thick and fast these days. This is not a complaint as the more information and practical help that gets into public awareness is surely much the better for everyone. My problem is that there is so much more to choose from that time allows only a fraction of the books to be looked at and some read and reviewed. I could list numerous titles that have been popular, informative and no doubt sold well but it is safer for me to refer you to: Books Education. website for a whole range of publishers and Educational books, or go to Jessica Kingsley site for a good range of a single publisher. I have got to page 40 of 209 pages of text and several more of glossary and further information items. Can I call this a ‘Joyous Book on Autism’? Already I love the style, the humour, the simplicity and the skill of Debby Elley in her understanding and explanation of autism. This book already ought to be a staple read for parents and clinicians alike. Debby Elley is the mother of autistic twins is well versed in the subject!! I am not going to quote the page but see also page 142 on the need for ‘re-telling and adding the reason why….. ie fully explain the logic of ‘why’ something should or should not be done……. Not a proper explanation but me encouraging you to read the book. This book most certainly speaks to parents, especially those that are trying to understand any diagnosis on an ASD child. It may confirm their suspicions or be a shock and have need of support in putting professional words and practice into common usage and action. Having said this, I believe that now, those working closely with children and families in some professional way have the opportunities through training and mentoring to work with sensibility and understanding. Also, dare I say it, on the supportive approach parents and families require for helping children develop to the maximum. Finding the support system may still be difficult as help is spread much too thinly, but it is there. There also many parent-started and run (with professionals too) charities all over the country offering help, support and most of all, a sense of community. You might need to search a little that suits you and your family. The beauty of today is that they can be web-based so available nationally, even internationally, as well as physically local. I finished reading this book in good spirits. As Debby says right at the beginning, she is a ‘positive’ person and her aim is to clarify terms and activities into understandable practice. as well as developing techniques to help reach potential. She is always positive, fun to read, imaginative and humorous in style. She is obviously serious about the subject and the Aukids magazine she, and her co-founder Tori Houghton run and continue to look for offering help and support to parents of autistic children. I must mention that they have autistic workers in their charity office from whom they ask advice on subjects from their perspective. Any criticisms? Well, maybe that although she admits times can be difficult (numerous examples given) her skill in humour and ‘positivity’ seems to slide over the hard times. But, there you go, it’s attitude of mind. Proving that her mindset is the way to go. See a problem, sort it or seek advice from trusted adviser……. and stick to a positive attitude and problem solving by using as many ‘outside boxes’ as you can find…….And proving that my glass is half-empty; however it is beginning to look half-full after reading this. A fun, exciting, informative guide to autism and emphasising the fact that absolutely ‘everyone is different’. I haven’t seen the physical magazine, just the website; but it looks an ideal magazine to come through the post!! I visited this recent little publication, or rather ‘occasional paper’ from the position of not having read anything by George Borrow but being aware of his Lavengro and Romany Rye in a fleeting way. Picking it up was mostly influenced by my interest in John Clare and the challenging lives and age in which he lived. Gypsies were important in many respects to Clare for their company, their knowledge and their music as well as being seasonal visitors with a ‘freedom’ he may have envied. This press specialises in papers on all aspects of George Borrows eventful life, travels and interests. Look to their website for additional published papers. borrowsgypsies.wordpress.com is a site also worth visiting for more depth on the subject of the two men who were born ten years apart and had interest in the life and style of the gypsy. This short book, 60 pages, is clearly and interestingly written by Jessica Von Kaenel-Flatt. Her brief biography reports her long-term interest in Borrow and gypsies including various web and blog sites on the subject. More importantly, perhaps she has worked for support groups of Roma which has added to her knowledge of current and more recent history of their culture. This wide ranging enthusiasm shows in her obvious in-depth knowledge of the books Lavengro and Romany Rye and her ability to compare storylines and description in the books and make them credible. Credible in as much as she highlights the prejudice and lack of knowledge of the books’ critics of the day and explains the reality of gypsies’ position and practical ability to access all levels of society. She explains clearly how the characters in the book may appear at odds with regular society but at the same time able to work with and live with (in temporary, seasonal periods) all strata of society of the day. Hence their sometime unexpected turn of phrase or knowledge . Their need to live and survive in precarious times may have put them outside the law at times but always within their own strict community rules. In one section she makes comment on Borrow’s small amount of ‘literal’ spelling for pronunciation of language of the gypsy; using this as a positive in that using ‘most established’ written language in common usage of his day helps to clarify the gypsy as able to be part of society at any level. And makes those (at times) odd use of words that are there, more emphatic. Clare only gets a brief footnote, but a worthy one where he is one of only three writers she considers successful in writing, large-scale in dialect (including William Barnes and Thomas Hardy). see page 51 for note on Clare and his ability to write in dialect. Other useful footnotes throughout. The two books were written 150-odd years ago and his language in them a world away from today’s style. Despite this and his own vagaries in telling stories, fiction, that is,…….as Lavengro and Romany Rye really seem to be, Jessica Von Kaenel-Flatt is firmly of the opinion that within all those storylines the essence of the characters, lives, events too, community and morals are closely and correctly drawn from life of characters he met. Jessica unveils this with her taking examples from the text, reporting the soundly wrong criticism of the day and then putting the actual fact of the matter clearly. With details of reasons why. We might classify Lavengro and Romany Rye as fiction today but Jessica points us to the accuracy of his research and the rich social information he gives us. Main book: 23 chapters on assorted themes that all have meaning to anyone involved with Aspergers and ASD, in their many degrees (neuro diversity). Indeed much can be taken from these chapters for other disabilities of a normal (neurotypical) personality to make live richer, understandable and sustainable for all. Which is a point the author is positive in making. To the English reader the Acknowledgements may seem a little over the top but bear with it as it helps fill in the background. The Preface moves swiftly into his (the author) place in life and their daughter, Rebecca and her progress through school and college as a girl with Aspergers (not diagnosed until late). 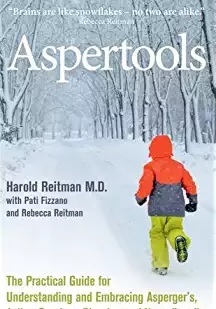 Or ‘Aspie’ as a term that Dr. Reitman uses all through the book. New readers may find this term a little odd but after a short while it sits more comfortably and perhaps as an endearing shorthand to be picked up. Once you hit the ‘Introduction’ the way is clear. Explanations for the book and relevance of ‘Aspie’ lead you straight into the chapters, from which we can all learn aspects of others, ourselves and some ‘tools’ to cope where needed. He explains the basic format of each chapter but allows there are some slight variations. I suppose I ought to name all the 23 chapters. No, don’t think so, just to say they are all relevent as individual sections though, unsurprisingly, there are similarities and overlaps in the contents. The earliest points are about sensory over sensitivity that many ‘Aspies’ have in any or all of the senses: sight, smell, taste, touch, and all the possibilities of causing anxiety up to ‘meltdown’. Any of these may occur in small-scale social or large, stadium size, occasions. A key element is observation of the potential difficulties and pre-planning for a coping strategy which offers least anxiety. Every individual needs to have plans of this nature for some events in their life. ‘Aspies’ need to be helped to cope in an appropriate and calming fashion on a more basic and frequent level. Observe and understand the person you care for, including yourself, and recognise the needs for adjustments in coping with the requirements of living. This book starts each chapter with the ‘Helpful Hint’ and then offers a circumstance of a particular difficulty with the suggested actions explained and then a few words of additional comment from Rebecca. I found having the advice given and it followed by the problem, then the solving, a more positive method of writing. Seeing the answer first enables you to understand the problem as you read through. After the Helpful Hint is the ‘Principle’ then Rebecca, often a section written from the experience of herself as an ‘Aspie’ and finally, specifically defined ‘Action Plan’. What starts off as a seemingly slow read has turned into a fascinating and stimulating collection of situations, results, advice and plans. The author is careful to keep the reader aware that the examples he gives are one/some of many variations across the spectrum. His key points are to observe the difficulties of the individual; the cause of difficulties in the surroundings and understand those triggers. To help cope with anxiety-causing dilemmas in an appropriate way and use all techniques that you find work. And this book points the way to many. Amongst them: keep calm, establish routines that are comfortable, make change (if necessary) in small steps and pre-warn of them, put yourself in their mind to see effects, encourage social activity and explain social conversation. This covers a few chapters, there are numerous others and they often have similar/ overlapping suggestions. The ‘tips’ from Rebecca are always interesting and balance the ‘experts’ view with her own Asperger’s understanding. The book is American in origination and the organisations mentioned are not available in this country, except via internet, I assume, but there are many organisations of national, regional and local focus in the UK. Autism UK and Autism Independant UK are but two and a search of the internet should produce many useful groups. This book is an easy ‘reader’ for parents, Teaching Assistants, training and NQTs whether in mainstream or specialist education situations. Those new to the subject will find it very useful, others less new are bound to find useful information or reminders of good practice. For a more in depth understanding of autism spectrum disorder is recommended: Uniquely Human, by Barry Prizant. Also published by Souvenir Press is ‘Uniquely Human’ by Barry Prizant, also reviewed on this site. A good quality guide and reference work offering information and positive action plus sensible points for further detailed follow-up. Available via: www.BooksEducation.co.uk. and other bookstores. As the title says, here is a quick (reading) guide to helping you be confident in recognising many disabilities and confirming those you know, in consistent, brief descriptions of the key elements to look for and techniques to help deal with in the classroom or other situations. The author introduces the techniques as suggestions of methods that have been positive whilst pointing out that variations as well as differing ones may also be beneficial. He quotes case studies of children and also several famous people who have been willing to open their ‘disabilities’ to view in order to show it as part of their character and not always a draw-back when their positives can be engaged; that no-one should be defined purely by the difficulties they have to overcome. As usual there is an index; plus a note on the author and a useful glossary at the start followed by a few pages on how to ‘use the book’. The book itself is in four sections, the main one being the brief descriptions followed by key support strategies of 65 areas of special needs of varying physical, mental and social areas. With suggested text or web sites for additional follow-up. The final section is related to strategies for children, parents, teachers and SENCOs and a basic run-through of various therapies that are currently found to be effective. Throughout and as a final thought, the author says how aware he is that there is much more available on these and more ‘needs’ that could not be included in the book. I am not going to list the inclusions but note the wide ranging from first: ‘Allergies’ to the final ‘Young Offender’. Again the author, Bob Bates, makes the comment that the pointers and strategies are frequently as applicable to adults as young or older children. His view, as are many others: that the strategies should fit the ‘child’. Initially I found the use of double-page spread confusing where a new subject started mid-page and you had to recognise that the heavy, broken line across the two open pages was a boundary marker for change of subject. This is a signal to stop at the broken line on the left-hand page and switch back to the top of the right page and read down again to the broken line. Reaching that is the end of the subject and you switch back to the right-hand page below the broken line and repeat moving across to below the broken line on right-hand page again. Maybe I should not have written this comment; it reads worse than it actually is. However, it did annoy me a little. Maybe the format of the book needed this design, or for me, maybe not. Despite this anomaly in design, the content seems remarkably clear, useful and positive as starting points in so many differing situations. A useful book that is extremely readable and easy to dip into or refer to whenever the need arises. Recently announced as a winner of the Australian 2017 Windham Campbell prize for poetry. Each year two prize winners in each category of poetry, drama, fiction and non-fiction; in its fifth year each winner receives US$165,000. 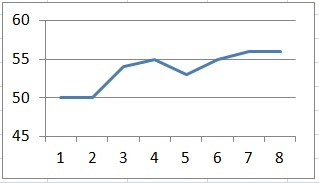 A Graph Review: average of 70 all through with touches of more for emotional connections! A memoir but listed as poetry. She has five other collections of poetry in print. the book is series of prose sketches from the early childhood of Ali Cobby Eckermann interspersed with almost haunted verse and through teenage to adulthood and closing with a celebration of family. As an aboriginal baby she was among the many forcibly taken from her mother soon after birth as part of Australian social policy of the time. She was adopted into a German Lutheran farming family with children, where she was loved, as was another adopted child. However with growing awareness of being different in a family of differing skin tones, and being subjected to various levels of abuses outside the family situation she developed assorted emotional problems and addictions as she grew to adulthood. Her writing is beautifully simple, descriptive and at times lyrical yet often fearsomely matter-of-fact. By jumping from scene to scene we watch the events through her eyes and begin to be informed of the abuses she suffers and the complications they set in train. Time and tensions move on. Throughout she does maintain some friendships and family albeit tenuously at times. The poem ‘Black‘ offers a step-change affirming her ‘Self’. Returning to the brief ‘chapters’ of prose, where life goes on and bullying is amplified, she finds a form of relief in friendships with other adopted and non-adopted indigenous people and families but with an evermore self-destructive life style. Her writing style throughout continues as simple and matter-of-fact in telling her tale. Maybe at her lowest point in the story, halfway-ish through the book, there is a subtle change in outlook. She reports, still concisely, of feeling connections with ‘the earth’, elements of scenery around her and of a bigger emotion as the landscape expands into the wilderness she travels through. Perhaps a degree of comfort from the expanse and lifestyle. Reading this section, of her growing awareness, created a surprising feeling of empathy on that connection. From here the style of blunt and non-critical writing continues while her life improves and collapses episodically. Blame is never considered by Ali but the reader surely can. The story may read as a philosophy of: ‘life happens’ but the reasons why need to be addressed, especially the ‘happenings’ of now. They may have been but Social Engineering for good or ill does have serious consequences in countless forms, mostly, it seems against women and children. There, I’ve gone off-track and have only the direct result of reading this book to thank. Yes, it is of a specific person but many aspects of her story are not only of the indigenous Australian but should resonate around the world in support of all who are nudged or beaten to the peripheries of society. 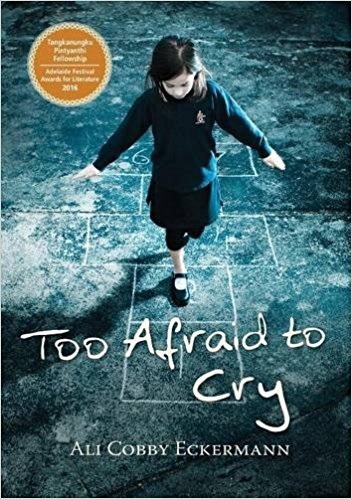 Ultimately this is a personal story of a baby, a child growing into adulthood and surviving a system of abuse and almost self-destruction to discover herself, her blood family, heritage and her own landscape. A woman who has finally become whole. Ali Cobby Eckermann’s book deserves international recognition. This is one to recommend to all your friends and everyone else. Includes diagrams, many useful links and index. The coverage is defined as for ‘all staff working with children in settings registered on the Early Years Register and the Childcare Register’. The focus is on real accidents and situations and looks at what went wrong to try to eliminate its causes. Their is also considerable information and advice on the regulations on safety and reporting of accidents. Basic development of babies and young children are listed. Descriptions of real accidents are given throughout the different subject areas and consequences. Each Followed by a ‘Back to the team’ checklist that offers needs and actions under the headings of: Plan, Do, Check, Act. Different ‘accidents’ have differing suggestions for each heading as basic examples. If these are used as initial safety checklists then additional action points could be included to cover such as details required by contractors, information/ notices for staff, parents and so on. The importance of assessing and providing safe environments should be a continual part of all staff training as well as a key person. Safety is a priority but so is reflection after difficult events. The thoroughness and concern of the authors speaks volumes as they highlight each example of accident with additional known children who have suffered. They also point out that gathering full statistics was not feasible at the time as reporting level was a variable regulation in parts, e.g. Visitors. Ideal for small units and individuals as well as growing or bigger ‘units’. The age and range covers childcare, nursery, reception class but not apparently much older. The child’s abilities and reactions my change in age but the thinking behind the checklists is still relevant as they move up in Primary years. 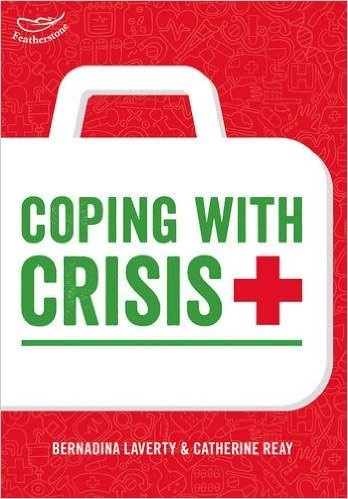 Indeed the range of ‘crisis-management’ expands rapidly as children move into years five and six upwards. This book may still be a good starting point as reference for new staff with its attitude to reflective practice and use of guidelines while attendance to more medical courses will add the extra dimensions required. A short section of ‘Key points’ is available as well as ‘On Reflection’ which covers areas to be considered after any accident. One area that seems to consistently appear is on parental information given on such as the ‘inquisitiveness’ or physical ability, allergies and so on that should be noted and known by all staff. This is where the checklists provided can give a solid start to the thinking process required to improve any failings in equipment or procedures, including training. The book covers many aspects on accidents: with equipment, scolds and burns, trapped fingers, choking, falls, infections, and others, even near-misses. This review may make it seem the book itself highlights all the dangers and is just depressing and off-putting. Well, partially, but in the real world accidents do happen no matter where children are and this book may well be the first to highlight the rules and regulations of safety and reporting of accidents in Early Years settings.